After watching their basketball team win it all just a few months ago the Cardinals football team believes it is their turn. And it may just be. Louisville ended up 11-2 and dominated powerhouse Florida in the Sugar Bowl from start to finish. With a Heisman candidate throwing the ball and one of the nation's most underrated defenses another championship could rise on the Louisville campus in the span of a couple months. 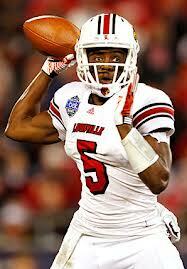 Backfield: Teddy Bridgewater could win the Heisman. The junior proved that he can dominate any defense with a dazzling performance in the Sugar Bowl even with a broken wrist. 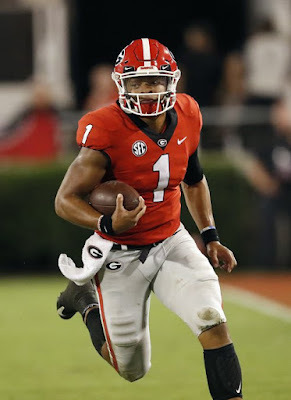 He has one of the best arms in the whole nation and he can create on the move as well. It is easy to see why NFL prospects love his talents. The Louisville backs aren't too shabby either. Dominique Brown is sure to get the bulk of the carries though the now healthy Senorise Perry is also going to be a factor. When he is healthy Brown can be a monster with his ability to run over stronger and bigger defenders. Perry is also tough to tackle and is quick when his weak knee is holding up. With Louisville's strong group of backs it doesn't look like the Cardinals' offense will rely on Bridgewater too much. Receivers: The Cardinals have a number of electric game-breaking wide receivers. These include players like NFL prospect DeVante Parker who averaged 19 yards per catch in 2012. He has the speed and hands to make a lot of plays. Junior Eli Rodgers could also be dangerous as he has been Bridgewater's security blanket since high school. He is gifted with a lot of interesting skills but he hasn't proven he can be a force at a consistent level yet. Freshman James Quick is exactly what his name suggests: speedy quick. Though, despite not being huge (6 feet, 180 pounds) he can break tackles. Speedy senior Damian Copeland can also burn defenses but doesn't seem to break away from defensive backs in short routine routes. Senior tight end Ryan Hubbell can also be a force from time to time. Offensive Line: The O-Line appears to be the biggest weakness for this year's team. Although they have a healthy dose of experience on this unit none of these linemen are stars. Junior guard Jake Smith appears to be the anchor of the line. Coach Charlie Strong and staff experimented with Smith at center and could move there. Junior John Miller, a Miami product, could also be a force on the opposite side. Although he isn't incredibly gifted he works hard and plays strong. Sophomore tackles Ryan Mack and Abraham Garcia have the potential to be fantastic linemen but both are relatively unproven. Garcia showed a lot of talent in short spurts as a true freshman in 2012. Defensive Line: Louisville doesn't have a proven star on their defensive line but it has all four starters returning and will be solid. Senior nose tackle Brandon Dunn and junior Jamaine Brooks stuff backs up the middle. Their ability to demand extra linemen and double teams create gaps for the teams great linebackers and ends. Junior Deiontrez Mount has the potential to be one of the American Atheltic Conference's best pass rushers. Another end, senior Marcus Smith has already proven he can use his speed and strength to get into opponents' backfields. Four-star defensive end Stacy Thomas who is very versatile spending time at end, linebacker and tackle. With players like Dunn, Mount and Brooks opponents should feel constant, incessant pressure from this line. Linebackers: Preston Brown is one of the best middle linebackers in the nation after being an All-Big East linebacker in '12. He is agile and quick enough to get a ton of tackles and will compete to lead the AAC in tackles this year. Another senior George Durant is also an above-average 'backer. He can also rack up tackles and should provide stable pressue from the perimeter. Sophomores James Burgess and Keith Brown have the potential to be fantastic linebackers in 2013. Although both are young and just getting adjusted to the tough BCS teams they should continue to mature. Secondary: Louisville should be very tough to throw on this season. 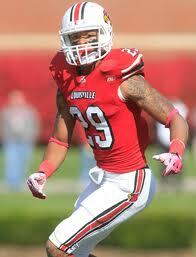 They have two of the best defensive backs in the country in 2013 with safeties Hakeem Smith and Cavin Pryor. Smith, a senior, is the leader of the defense being a monster in coverage and making tackles from sideline to sideline. Pryor has also proven he can be a beast. He is a great tackler in the open field and can also provide help in coverage as well. The Cardinals also have some great cornerbacks too. Junior Terrell Floyd and Andrew Johnson have both proven they can be shutdown at times and should be even more improved with some more experience under their belts. Louisville isn't a powerhouse yet but they should take big strides in 2013 thanks to their fantastic junior quarterback. 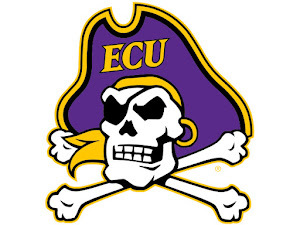 If they can get past Ohio on September 1st and Rutgers on October 10th a BCS bowl is a proven.